We Love Making Custom Shipping Crates of Any Size! Fine Art Shippers has long been known for providing exceptional fine art shipping services to clients from all over the world. We ship art, antiques, religious artifacts, stone sculptures, metal installations, designer furniture, musical instruments, and each of them always arrives at the designation intact. How is it possible? Well, the answer is pretty easy: we always ship valuable and fragile items in custom shipping crates made by our team in-house! Fine Art Shippers has 23 years of experience in designing and building custom shipping crates for all possible types of fragile and delicate cargo, from large and heavy antique grand pianos to small porcelain figurines. We always make our durable wooden crates to fit the unique configurations of the transported items and according to high-quality museum standards, thus ensuring that our clients’ precious possessions arrive at wherever they need to be in the world safely. Moreover, we are aimed at providing our art crating and shipping services at affordable prices so that everyone could order a high-quality wooden crate when shipping artwork over a long distance. special crates for shipping motorcycles, boats, cars, and other vehicles. This list of custom shipping crates is not exhaustive as our team of crate makers can design and build a wooden crate for absolutely any item, no matter its size, shape, and weight. We can even do it on-site, provided that enough space is available. 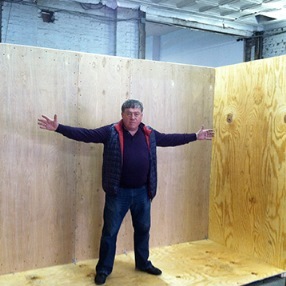 However, what makes our custom crating services unique is that at Fine Art Shippers, we do love making crates! Moreover, custom shipping crates are an integral part of our everyday life, and we pay special attention when designing and building each of them. Whatever item you need to ship, whatever its dimensions and weight, and whatever your budget, Fine Art Shippers is the right place to come for custom shipping crates of any type! Please feel free, to contact our team to find the best crating and shipping solution for your specific needs!